I am Musfiq us Shaleheen. I was born on 31st December in 1970 at Khulan of Bangladesh. 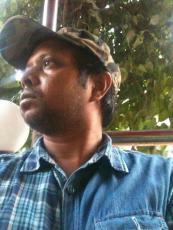 I write poems and lyrics both in English and Bengali. I prefer Free Verse, Rhyme, Mono Rhyme and Haiku to other forms of poetry. I like different type of poetry structure – Meter, Free verse, Haiku. This page was created in 1.5446 seconds.